Safety. Freedom. Dignity. Freedom Network USA is dedicated to ensuring that all workers have access to these basic human rights, and that when these rights are violated, survivors access the full-range of services they need to heal. But right now, this access is under attack by the very federal agency that is charged with serving and supporting victims of crime. The Department of Justice’s Office for Victims of Crime (OVC) provides services and support for crime victims across the US. For 2018, Congress has appropriated $77M for meeting the comprehensive needs of human trafficking survivors, an increase of $32M from 2017.. And yet, OVC has chosen to limit, rather than expand, access to justice for trafficking survivors. With shocking regularity, traffickers force their victims to commit crimes as part of the trafficking scheme. A National Survivor Network report found that over 90% of survivors surveyed had been arrested, almost half of those had been arrested more than 9 times. These criminal records continue and compound the abuse and exploitation, even after survivors have physically escaped. With each background check conducted by an employer, landlord, or school; survivors experience the shame, fear, and denial of independence of the trafficking experience. They can be left homeless and unemployed, and without access to education; and vulnerable to new forms of abuse and exploitation. While law enforcement and prosecutor offices across the country are now screening for trafficking, and reducing the chance that victims will be prosecuted, these old records continue to marginalize and punish trafficking survivors. Luckily, more than 30 states have vacatur or expungement laws to allow trafficking survivors to clear these records, and their path to independence. In 2015, OVC funded the Survivor Reentry Project to provide training and technical assistance to attorneys to increase access to vacatur and expungement for trafficking survivors. Shockingly, however, OVC has declared that FY18 funding cannot be used to represent survivors in vacatur and expungement cases, even as OVC continues to fund the Survivor Reentry Project to train lawyers to take these cases.  Freedom Network USA, the largest alliance of trafficking providers and advocates in the US, has raised the alarm with a broad array of stakeholders and advocates. Today, we have delivered 4 letters to OVC, urging them to reverse this harmful policy. 281 anti-trafficking advocates and allies, including individuals as well as local, state and national organizations have signed this letter. 126 survivors of human trafficking have signed this letter. 9 prosecutors’ offices have signed this letter. The Association of Pro Bono Counsel submitted this letter. Additionally, the American Bar Association submitted this letter and we understand a letter was submitted by the members of the House of Representatives. Vacatur and expungement are critical to the recovery and growth of survivors. They allow justice systems to correct the record, and to recognize these individuals as survivors, not perpetrators, of a crime. We hope that OVC is persuaded to uphold its motto of “Justice for Victims. Justice for All” by removing this limitation from the FY18 human trafficking grants and supporting a full measure of justice for trafficking survivors.